January 31, 2019 Empire Racing Group, LLC. MOORESVILLE, N.C. (January 28, 2019) – Daytona is a family affair for the Petty’s. Kyle Petty made his ARCA Racing Series debut in 1979 at the Daytona International Speedway, winning the race in his first stock car start. Now, 40 years later, his nephew, Thad Moffitt, will look to do the same driving the No. 46 Performance Plus Motor Oil Chevrolet in a car prepared by Empire Racing Group (ERG). Moffitt will make the first Daytona start in his young career with his partner Performance Plus, who has sponsored him in his previous ARCA starts. Moffitt, the 18-year-old grandson of “The King” Richard Petty, recently participated in the ARCA Racing Series test at Daytona in his No. 46 Chevrolet. He went through the same test last year but was too young to compete in the race. With eight ARCA starts behind him, Moffitt is ready to compete on the big tracks and race at the track his family helped make famous. Being a part of the Petty family, Moffitt has been traveling to Daytona Beach since he was born. The track and its history are nothing new, and Moffitt is not intimidated by the opportunity. Moffitt and his No. 46 Chevrolet Empire Racing team had immediate success in ARCA competition on the short tracks. He’s finished in the Top 15 in three of his eight starts, including a Top 10 finish. The team will make select starts in the ARCA Racing Series with Performance Plus throughout 2019. Moffitt’s No. 46 Chevrolet is not only supported by Performance Plus, but also will have continued associate sponsorship from Alsco, Apple Spice, Fence Armor, Hostetler Ranch and Transportation Impact. A native of Trinity, N.C., Moffitt is the son of Brian and Rebecca Petty-Moffitt. He started racing a go-kart and a quarter midget before moving to a Limited Late Model and now the ARCA Racing Series. Moffitt grew up going to the track with his grandfather Richard Petty and watching his Uncle Kyle race. 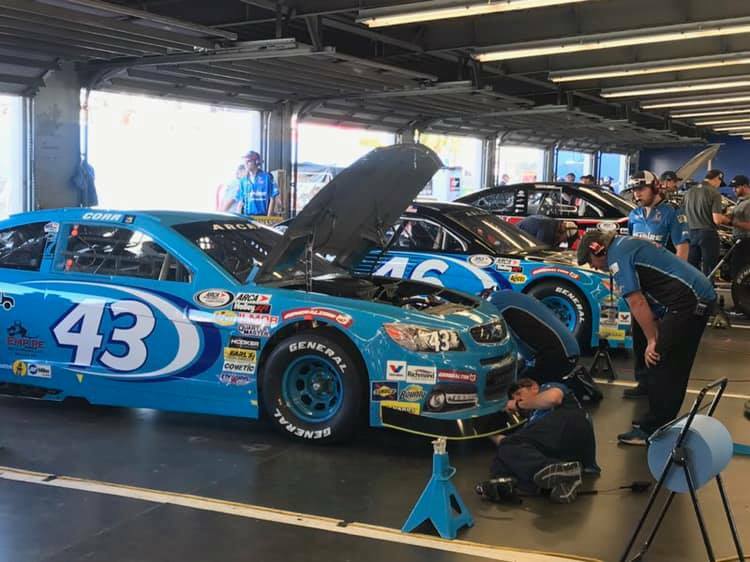 A performance and marketing driven company, Richard Petty Motorsports (RPM), co-owned by NASCAR Hall of Famer Richard Petty and successful business entrepreneur Andrew Murstein, is one of the most recognized brands in all of motorsports. RPM is the winningest team in NASCAR Cup history with 273 wins and has business partnerships with national and global leaders. Today the race operation fields the famed No. 43 in the Monster Energy NASCAR Cup Series with driver Darrell “Bubba” Wallace Jr. The team is headquartered in Welcome, N.C. and is supported by primary partners United States Air Force and World Wide Technology. Empire Racing Group (ERG) is a development team that strives to identify young racing talent and assist them in the advancement of their careers. While ERG originally focused on the ARCA Racing Series with driver Sean Corr (team owner/driver), the team has since expanded its reach into other series thanks in part to its alliance with Grumpy’s Performance, Inc. 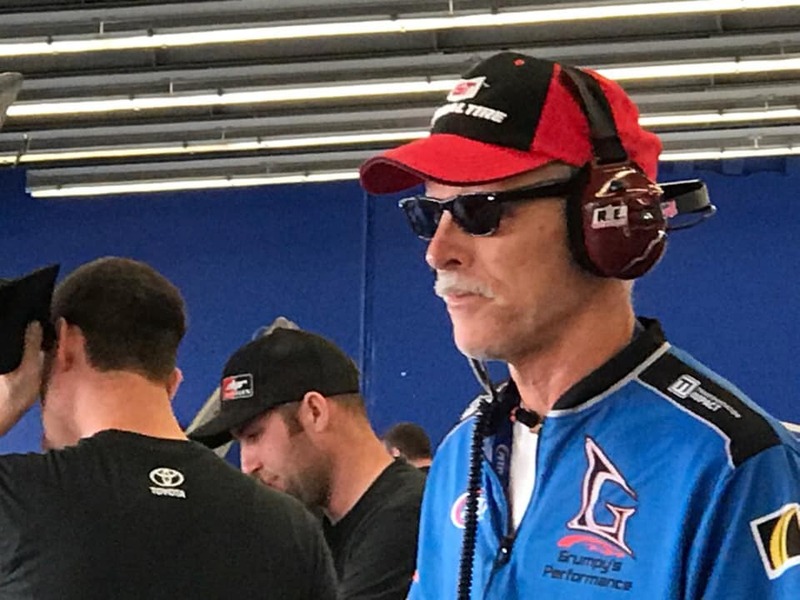 Under the expertise of Grumpy’s Performances’ VP, and Competition Director, Mike ‘Grumpy’ Cheek, ERG now competes in various late model series as well as the NASCAR Gander Outdoor Truck Series (NGOTS). 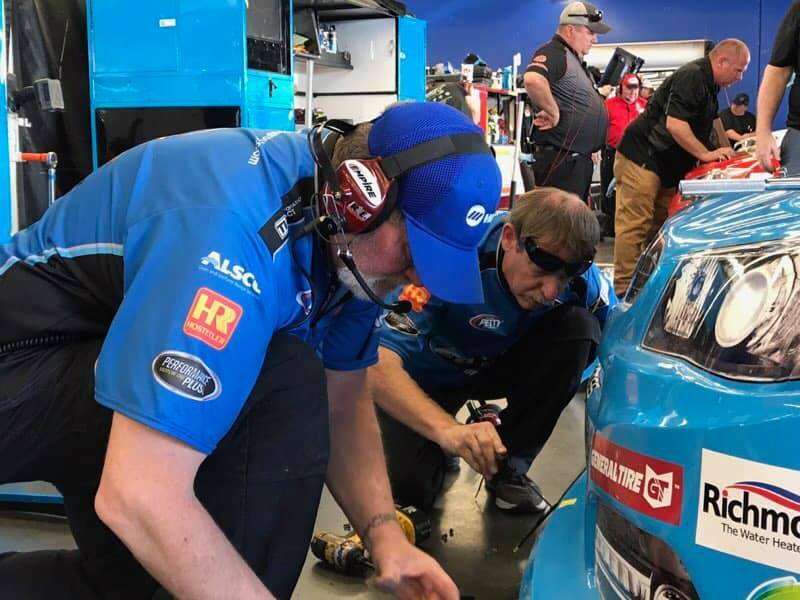 Since 2016, ERG has been serving as the development team for Richard Petty Motorsports, providing young drivers with driver coaching, technical support, public relations, and marketing needs. 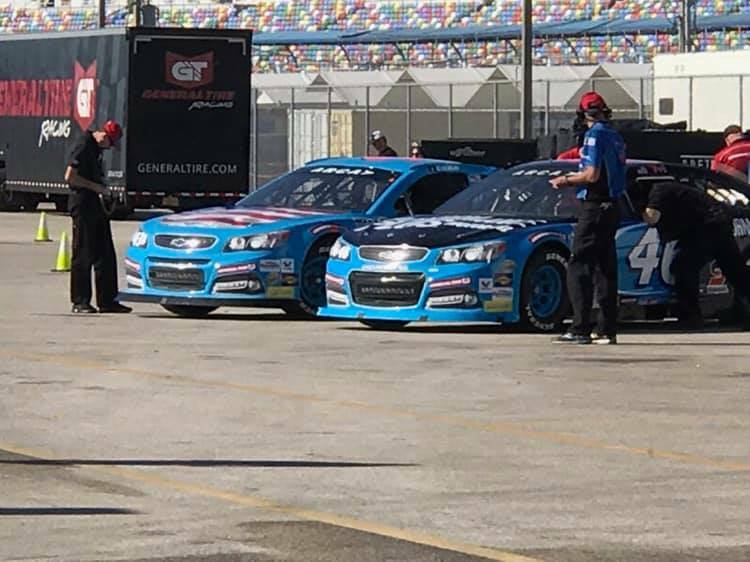 Drivers for the upcoming season include notable rising stars Thad Moffitt, and Harrison Moffitt, as well as racing veteran Sean Corr. To learn more about ERG, call (704) 664-8882 or visit www.empireracinggroup.com. March 17, 2018 Empire Racing Group, LLC. WELCOME, N.C. (March 16, 2018) – Richard Petty Motorsports (RPM) announced today their continued partnership with Performance Plus Motor Oil. The partnership will once again see RPM development driver, Thad Moffitt, competing in NASCAR Late Model competition and the ARCA Racing Series events at Fairgrounds Speedway in Nashville, Tenn. on April 7, Pocono Raceway on June 1, and at the short track in Indianapolis on September 7. Moffitt and RPM will partner with Empire Racing Group (ERG) to enter the cars for all races. 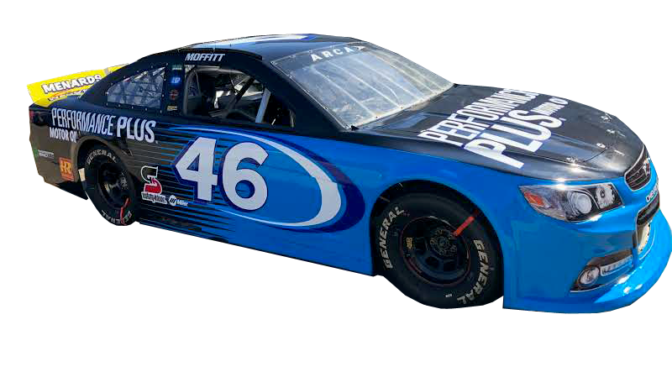 Performance Plus will continue to sponsor Moffitt during various Late Model races throughout the southeast in 2018. Moffitt and ERG will begin their race season this Saturday night during the Performance Plus 300 weekend at the Myrtle Beach (S.C.) Speedway. Moffitt will race the No. 46 Performance Plus machine in the Late Model feature this Saturday night. 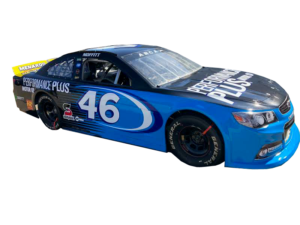 Performance Plus will also be an associate sponsor of Moffitt for the remainder of the year in both ARCA and NASCAR Late Model competition. Moffitt, the grandson of “The King” Richard Petty, will make his first start at the Pocono Raceway later this year in the ARCA Racing Series while returning to both the Fairgrounds Speedway and Indianapolis. Moffitt plans more ARCA Racing Series starts later this summer which will be announced at a later date. The No. 46 of Moffitt is supported by Performance Plus along with Transportation Impact and Hostetler Ranch. Moffitt, the 2016 Southeast Limited Late Model Champion, raced in two ARCA Racing Series events with Performance Plus in 2017. He finished a career-best 11th in Indianapolis and is excited to have them back as he continues his racing career. Moffitt is a 17-year-old native from Trinity, N.C. and is the son of Brian and Rebecca Petty-Moffitt. He started racing a go-kart and a quarter midget before moving to a Limited Late Model and now the ARCA Racing Series. A high school student, Moffitt grew up going to the track with his grandfather and watching his Uncle Kyle race. 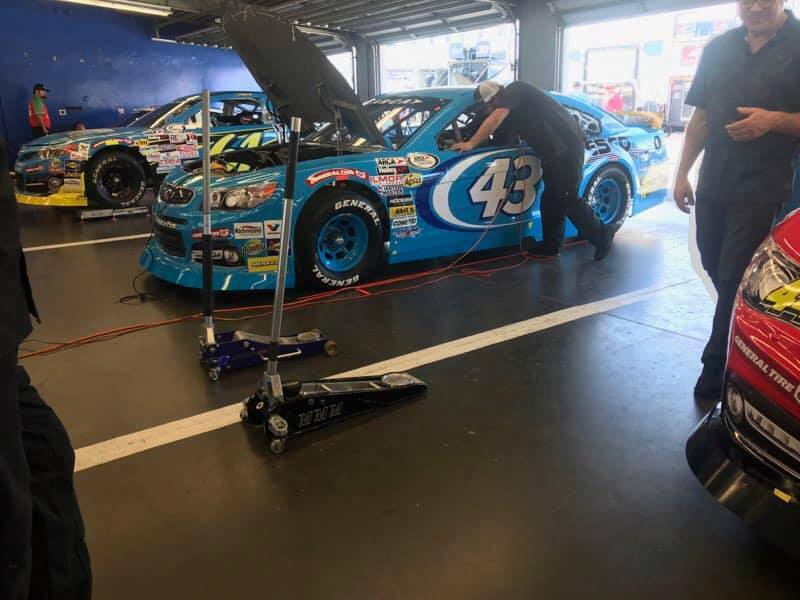 A performance and marketing driven company, Richard Petty Motorsports (RPM), co-owned by NASCAR Hall of Famer Richard Petty and successful business entrepreneur Andrew Murstein, is one of the most recognized brands in all of motorsports. RPM is the winningest team in NASCAR Cup history with 273 wins and has business partnerships with national and global leaders. Today the race operation fields the famed No. 43 in the Monster Energy NASCAR Cup Series with driver Darrell “Bubba” Wallace Jr. The team is headquartered in Welcome, N.C. and is supported by primary partners Click n’ Close, STP, Smithfield Foods and the United States Air Force. Established in 2009, Empire Racing Group is a development team that strives to identify young racing talent and assist them in the advancement of their careers. 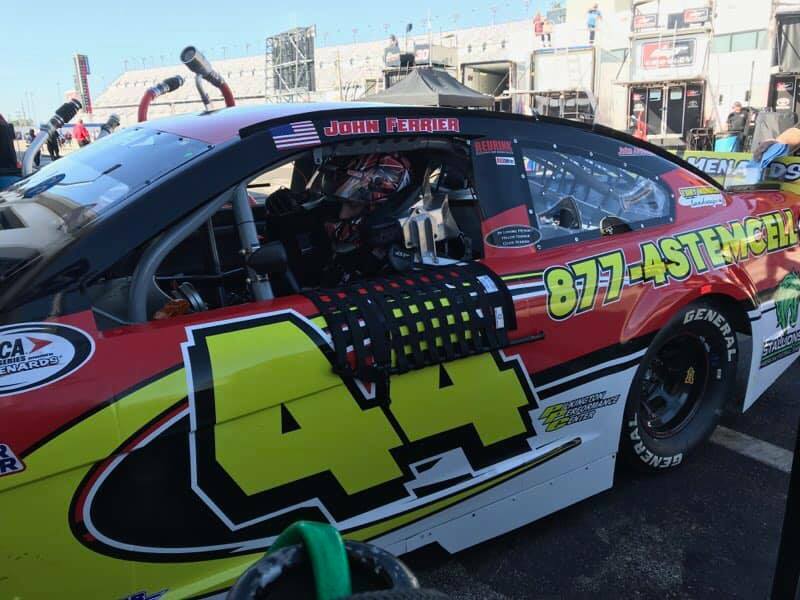 While ERG originally focused on the ARCA Racing Series with driver Sean Corr (team owner/driver), the team has since expanded its reach into other series thanks in part to its alliance with Grumpy’s Performance, Inc. 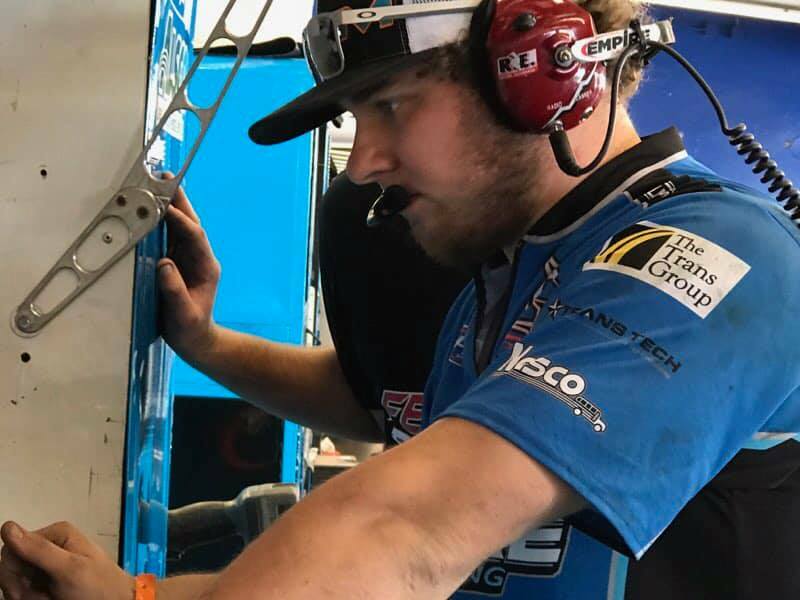 Under the expertise of crew chief Mike ‘Grumpy’ Cheek, ERG now competes in various late model series as well as the NASCAR Camping World Truck Series (NCWTS). In 2016, ERG will be serving as the developmental team for Richard Petty Motorsports, providing young drivers with driver coaching, technical support, public relations, and marketing needs. Drivers for the 2017 season include notable rising stars Thad Moffitt, and Harrison Moffitt, as well as racing veteran Sean Corr.